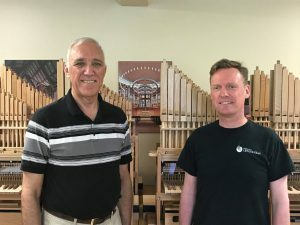 The Canadian organists association has embraced Orgelkids as a strategic project to reach new audiences and young people for the organ. 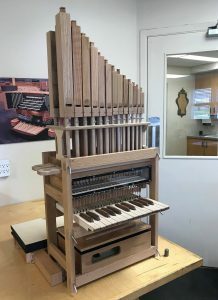 This association, the Royal Canadian College of Organists (RCCO), therefore decided for a nationwide project: each of the eight regions in the country will have its own Do-organ in October 2018. Rick St.-Germain (left) went to pick up the eight Do-organs from the organ builder, Andrew Forrest. 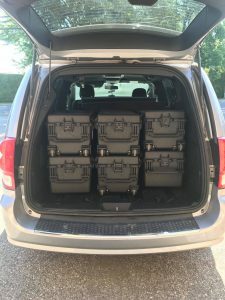 So many organs still fit in a car. 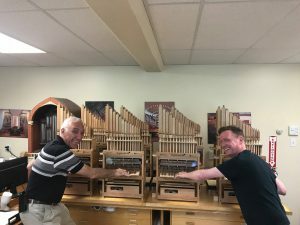 We wish project team Rick St.-Germain, Elizabeth Shannon and Janet Weaver a lot of fun and success with OrgelkidsCAN!